The Pro Cell’s® unique ,seamless coating design produces unmatched durability and safety in a racing fuel cell. Pro Cells® are designed specifically for use with hydrocarbon fuels but have been successfully used by top teams running ethanol blends up to and including E85. 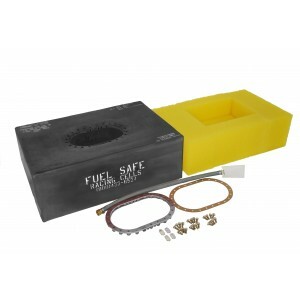 The Fuel Safe® Pro Cell® is the fuel cell of choice for top off road, road race and circle track racers around the globe.